Anchor Steam's® roots go back to the Gold Rush, long before icehouses and modern refrigeration made traditional lagers a viable California option. In 1876, thanks to an ice pond in the mountains and a belief that anything is possible in the Golden State, a little brewery named Boca created California's first genuine lager. Anchor California Lager® is our re-creation of this historic beer. 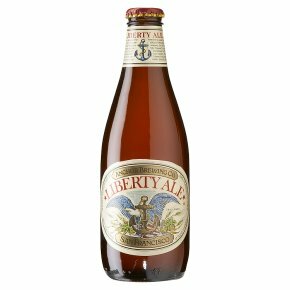 As the first modern American IPA brewed after prohibition and first modern dry hopped ale in the US, Anchor's Liberty Ale is the original craft ale and the beer that started a revolution. Anchor's Liberty Ale popularised the Cascade hop which, together with the dry hopping, creates a powerful aroma of pine needles and oranges, followed by a biscuity malts centre before finishing dry, juicy and resinous.